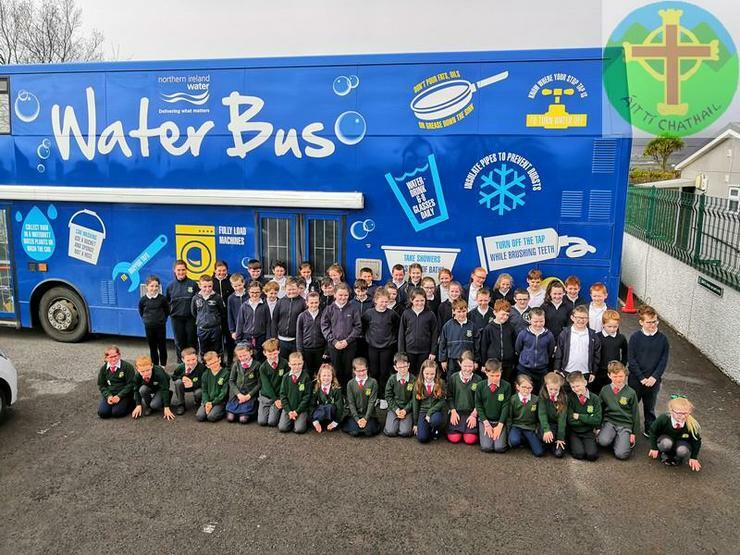 The boys and girls from Primary 4 to Primary 7 in Holy Cross PS, Atticall had a visit from the NI Water Bus on Wednesday 20th March. They learned all about how our water is supplied and the ways we can help to ensure water is not wasted. Holy Cross Primary School has pledged to become a ‘refill’ school and were supplied with drinking bottles to reuse to help us reduce our plastic waste. It was a very educational and fun visit.